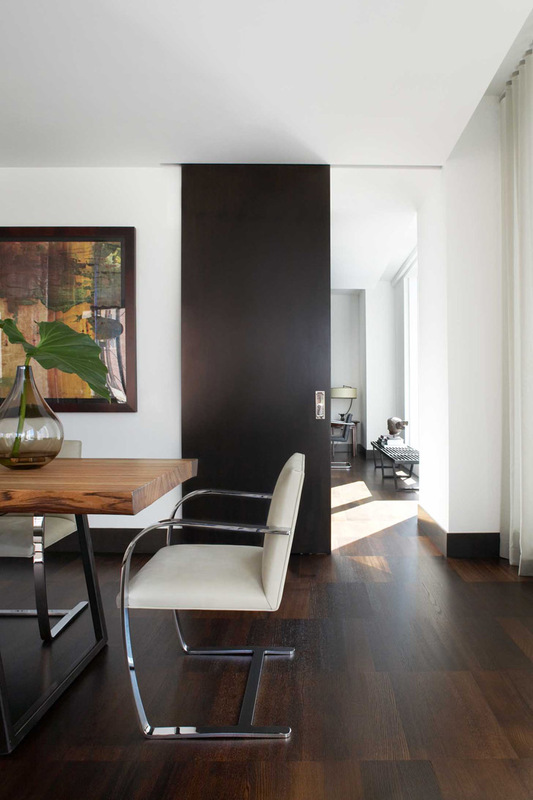 From Interior Designer Neal Beckstedt on a recent New York City residence: The decoration of the apartment was focused on creating a calm, classic sense of luxury in a modern setting. I wanted to retain and highlight the clean, modern lines of the light-filled apartment but add a sense of warmth and personality to the space. To do this I carefully curated a sophisticated mix of furniture, textures and art. We mixed classic modern furniture with vintage and traditional antiques, offset smooth leather and wool with silk mohair and bouclé, and juxtaposed heavily textured vintage Berber rugs to the smooth, white walls. 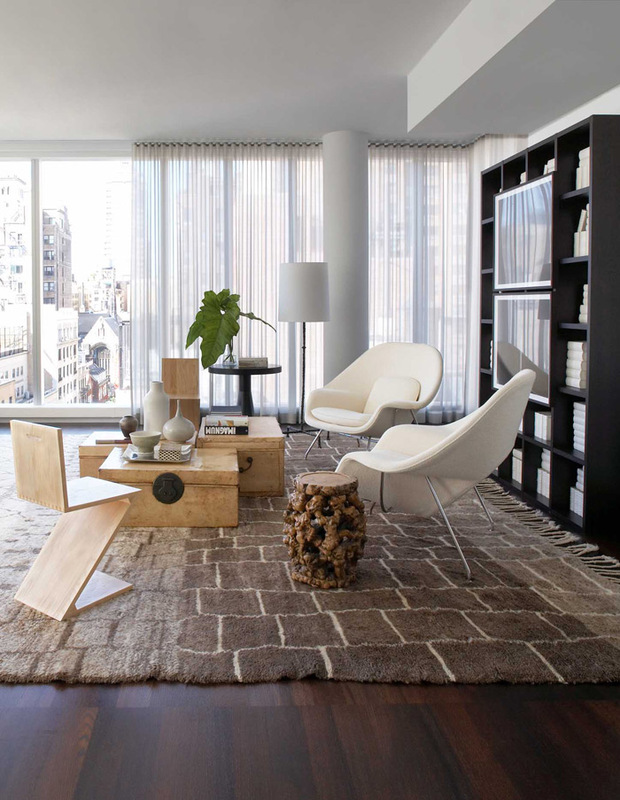 Two Saarinen Womb Chairs create a cozy, intimate refuge. Flat Bar Brno Chairs make an elegant dining chair. A close up of the Flat Bar Brno Chair designed by Ludwig Mies van der Rohe; the tubular version of the chair can be seen in the background. 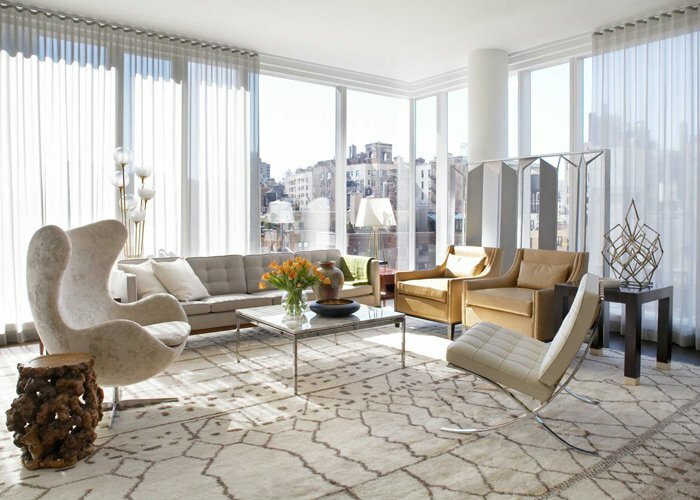 The classic, iconic Ludwig Mies van der Rohe Barcelona Chair complements this sun-filled living room.